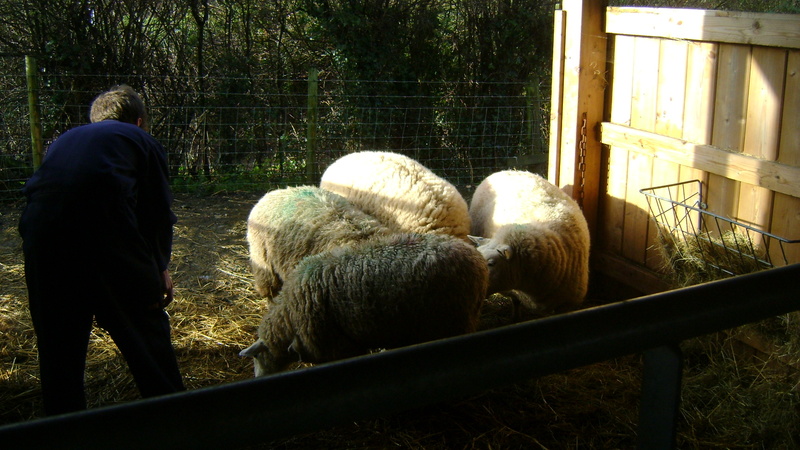 Week beginning 9 June : Owen S: During my week on the farm I fed the sheep and weighed the eggs. I enjoyed feeding the sheep. My favourite animal on the farm is the rabbit. The weather was good. Nothing out of the ordinary happened. Cameron C: On my week at the farm I fed the sheep and the chickens. I enjoyed feeding the sheep but didn’t like Colin (Cockerell). My favourite animal on the farm is the rabbit, although it did kick me! The weather was good. Morgan S: At the farm I collected the eggs from the chickens and ducks. I enjoyed all of it. My favourite animal is the pigs. The weather was sunny. One of the eggs was broken. Jack: I did lots on my week at the farm. I mostly enjoyed the calves who are my favourite animal. There was nothing I didn’t enjoy. The weather was good, nothing out of the ordinary happened. It was good. Daniel H: On the farm I fed the pigs, chicken and ducks. I mostly enjoyed moving the pig house but I didn’t enjoy weighing the eggs. My favourite animal is the calves, the weather was good and nothing out of the ordinary happened. Miles S: During my week on the farm I fed the pigs. The weather was wet and sometimes warm. Everything was good. The chickens didn’t like James’ boots!! James C: On my week at the farm we let the ducks and chickens out in the morning, collected their eggs and gave them food and water. I enjoyed feeding the ducks and chickens. On Tuesday it was raining but then Wednesday was nice and sunny. My favourite animal at the farm is the sheep. 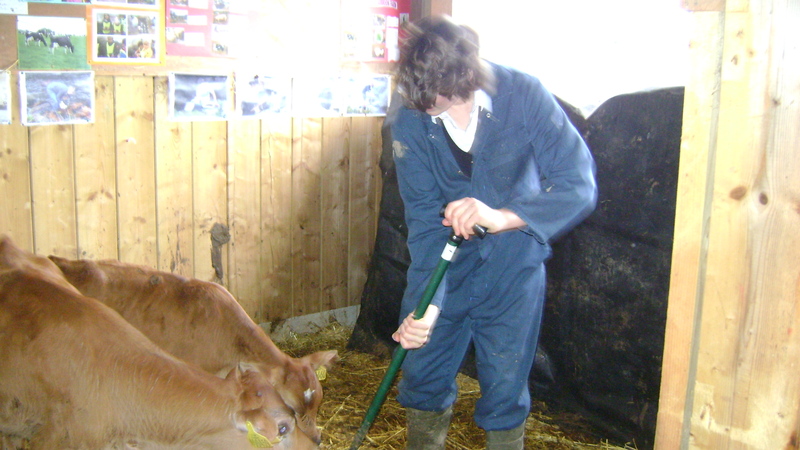 Week Beginning 12th May 2014: Jaden: During my week at the farm I cleaned and fed the animals. The thing I enjoyed the most was feeding the pigs and there was nothing I didn’t enjoy. My favourite animals are the chickens. The weather was sunny and nothing out of the ordinary happened. 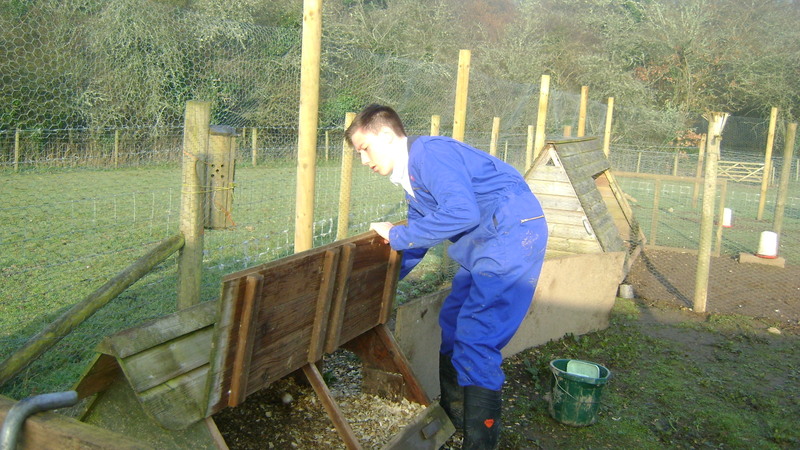 Week Beginning 5th May 2014: Dan: During my week at the farm I fed the chickens, ducks and sheep. I enjo yed feeding the sheep the most but I didn’t like touching the chicken poo! My favourite animals are the pigs. The weather was okay. 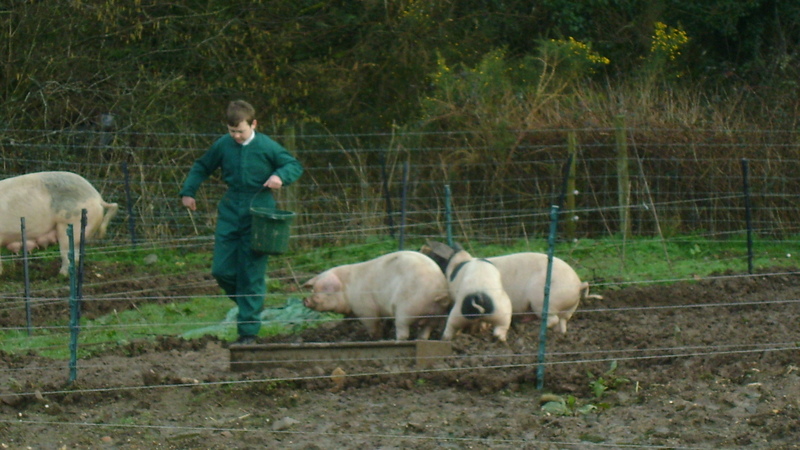 Week beginning 22 April 2014: Ben R: During my week on the farm I fed the pigs, sheep, calves, chicken and ducks. I enjoyed feeding the calves the most but I didn’t enjoy going back to school! My favourite animal is the sheep. The weather was dry but the wind was cold. Nothing out of the ordinary happened. Josh R: During my week at the farm I fed the pigs, the chickens and the calves. I enjoyed feeding the calves but did not enjoy going back to school when my duty had ended! My favourite animal is the calves. Nothing out of the ordinary happened. Patrick E: Whilst I was at the farm I fed the pigs, calves, chickens and ducks. I most enjoyed feeding the pigs, but I didn’t like going back to school. My favourite animal is the pigs. The weather was dry but there was a cold wind. Nothing out of the ordinary happened. Chloe: During my week at the farm I fed the chickens and rabbits and the calves their milk, which is what I enjoyed the most, but I enjoyed it all. My favourite animal now would be the rabbits. It was constantly raining, which was so annoying. Nothing out of the ordinary happened. Joe B: I cleaned the animals out and then fed them. My favourite thing was feeding the lambs but I didn’t like cleaning the pigs out. My favourite animal is the cows. It was wet!! Week beginning 24th March 2014: Courtney: I mostly fed the animals on my week at the farm and enjoyed feeding the sheep and watching the “Sheeplets”. I didn’t enjoy cleaning up the pig poo!. My favourite animal is the “Sheeplets”. The weather was rainy and it was cold. Nothing out of the ordinary happened but I would like to say “be careful if you let Thumper out, he likes to play chase”. 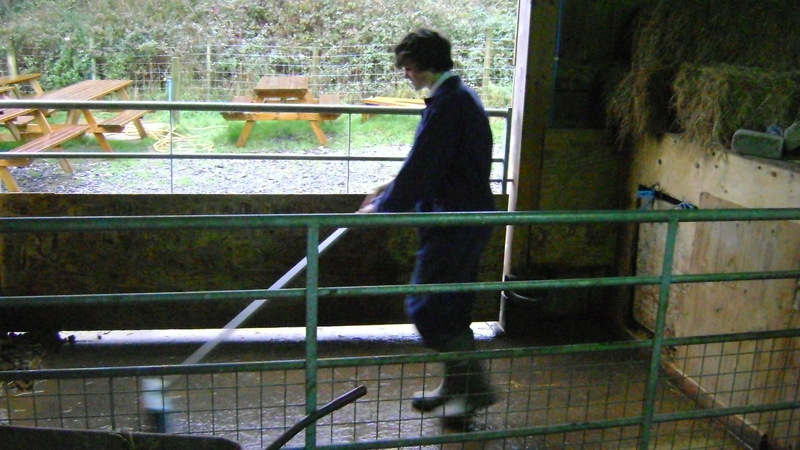 Sarah: During my week on the farm I cleaned out the pigs, fed the sheep, ducks, chickens, calves, rabbits and guinea pigs. 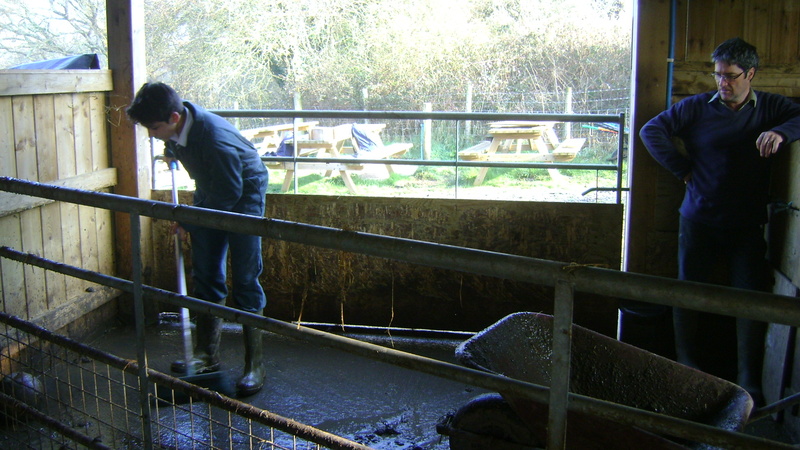 I enjoyed looking after the calves but did not enjoy cleaning out the pigs. My favourite animals are the calves and Thumper the rabbit. The weather was quite good. Nothing out of the ordinary happened and I have nothing else to say. Connor W: On my week at the farm I cleaned out the pigs. I mostly enjoyed feeding the chickens but didn’t enjoy cleaning out the pigs! 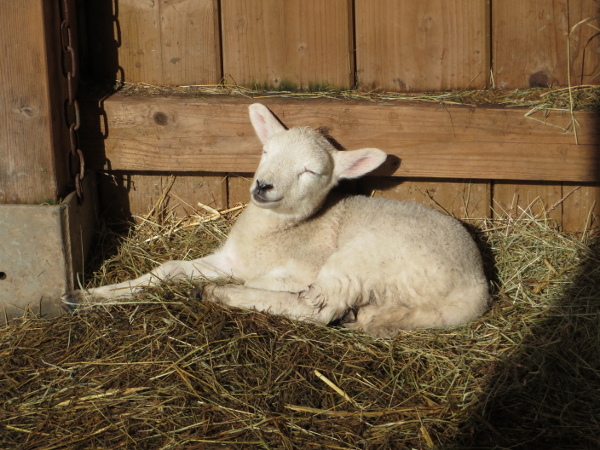 My favourite animal on the farm is the rabbit, the weather was sunny and nothing out of the ordinary happened! Ollie: On my week at the farm I had to clean out the piglets, feed crackle and feed the piglets. I also had to clean out the calves and clean Crackle. I didn’t enjoy cleaning out the pig poo!! My favourite animal on the farm is Colin. The weather was mainly dry. 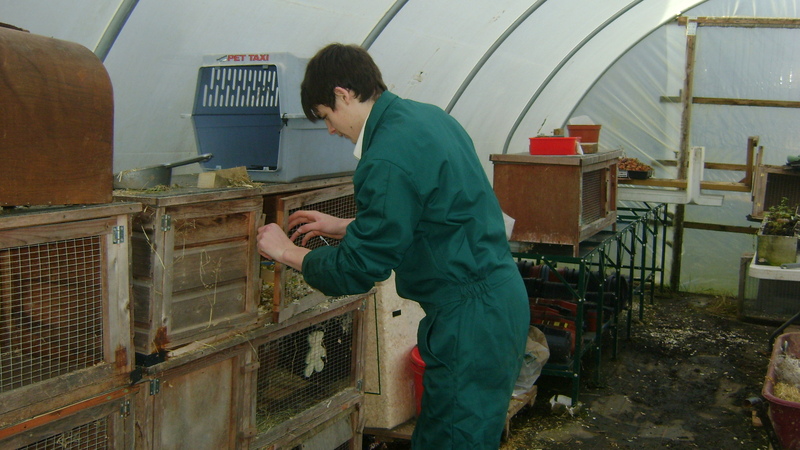 Cameron C: During my week at the farm I cleaned and fed the pigs, rabbits and guinea pigs. I enjoyed looking after the rabbits but didn’t enjoy the pigs. My favourite animal is the rabbits. The weather was good but nothing out of the ordinary happened. Owen S: I fed the animals and weighed the eggs. The thing I enjoyed the most was feeding the pigs but didn’t enjoy cleaning out of the pig’s house. My favourite animal is the rabbit. The weather way sunny and nothing out of the ordinary happened. 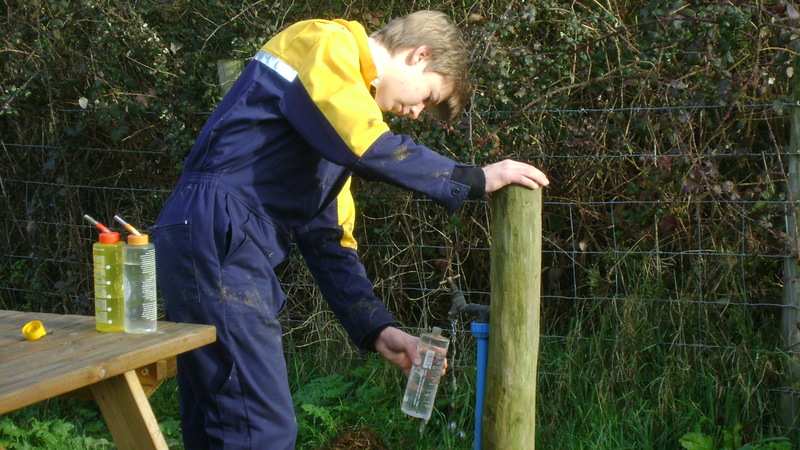 Week Beginning 3 March 2014: Jack: I did lots during my week on the farm and enjoyed everything, apart from the fact I did not enjoy going back to school when I had finished. My favourite animals are the calves and they arrived during my week at the farm. The weather was nice. It would be great if we had more land! 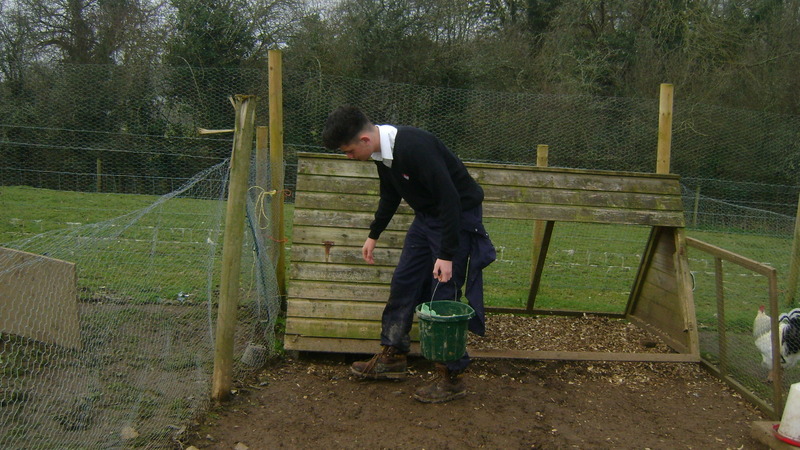 Morgan: During my week on the farm I fed the animals and cleaned them out and collected the eggs. I enjoyed doing many different things on the farm. My favourite animals are the pigs and calves. The weather was nice and sunny at times. 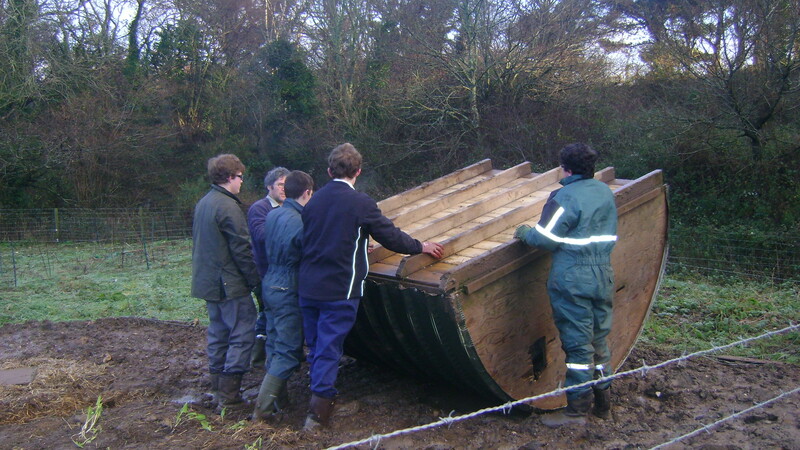 Jack fell over in the mud! I found out a lot more about the animals at the farm. 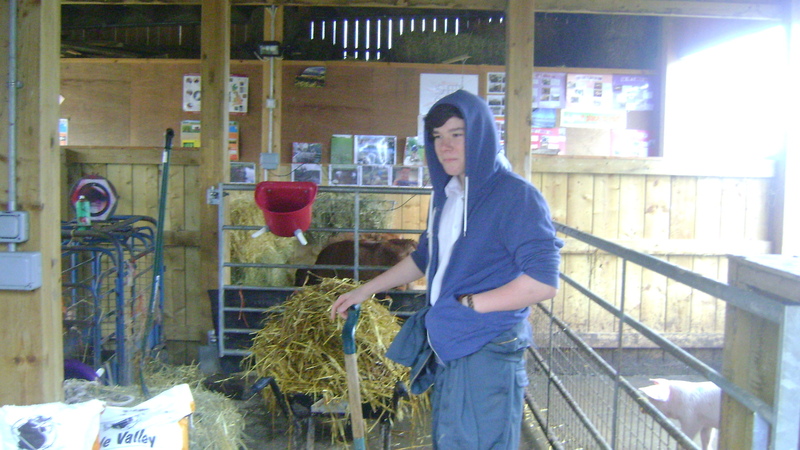 Dan: Whilst at the farm I fed and cleaned the animals and I most enjoyed feeding the pigs. My favourite animal on the farm is the calves. The weather was sunny, cloudy and rainy and during the week we got the calves. 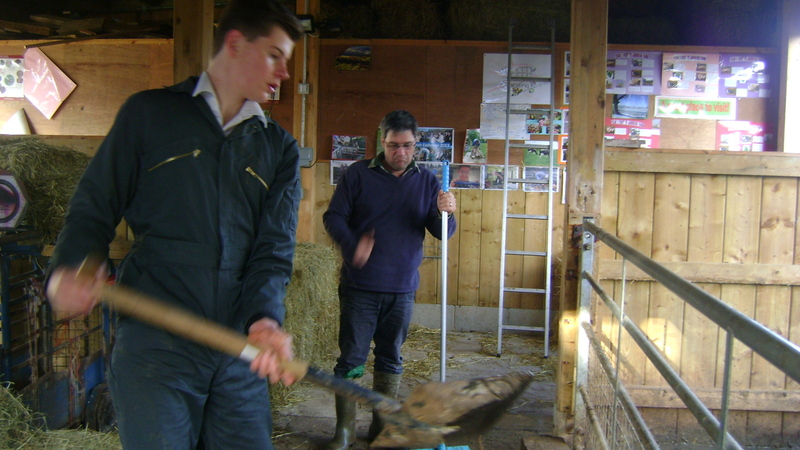 Week Beginning 24 February 2014: Ollie C: I enjoyed working at the farm this week, it was very interesting. I learnt some new things that I haven’t done before like feeding the pigs and sheep. The weather was sunny every time we went up there. I had good help from Miles and James and hopefully I can do it again soon. James C: During my week on the farm I let the ducks and chickens out of their houses, collected their eggs and checked they had food and water. After I collected the eggs I cleaned them and wrote down the weight of the eggs so they could be recorded. I also cleaned out Crackle’s pen and gave her and her piglets some food. I also fed the sheep and put some hay in the hay rack. 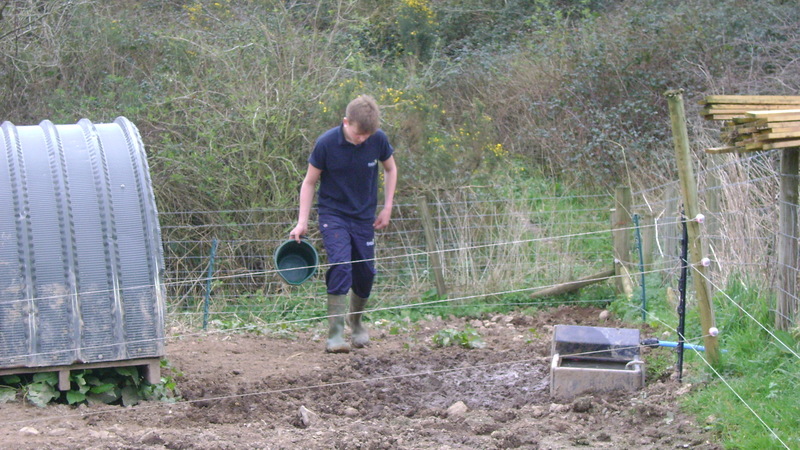 I also helped Pete move the electric fence in the pig run. The thing I enjoyed the most is cleaning out the pigs and feeding the sheep because it was fun working with animals and my favourite animal on the farm is the sheep. The weather was sunny all week. Week Beginning 10 February 2014: Jaden: I spent the week cleaning the animals and enjoyed helping out. My favourite animals are the sheep, it was rainy and the fences blew around. 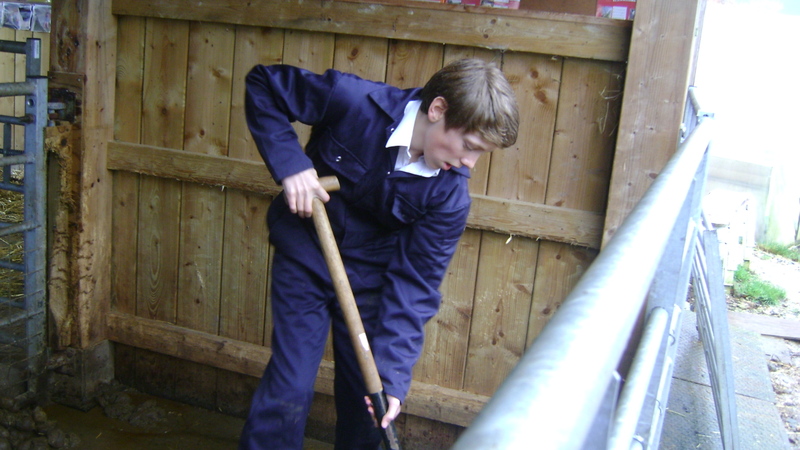 Tyler: My week on the farm involved collecting the eggs and weighing them, cleaning out the pig pen and feeding the animals, which is what I enjoyed the most, but I didn’t enjoy cleaning out the pigs. My favourite animals are the sheep. The weather was horrible as it was raining a lot. Something out of the ordinary happened – we had to get the fences! 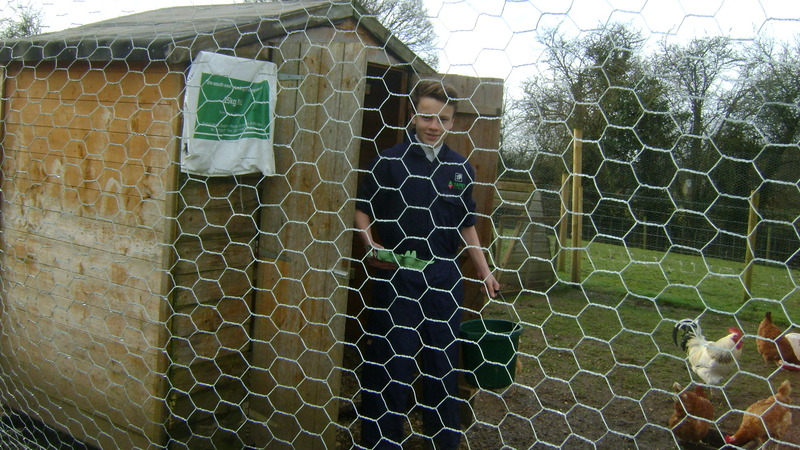 Week Beginning 3 February 2014: Dan – I fed the sheep, collected chicken/duck eggs and cleaned out Crackle. I enjoyed feeding the sheep the most but did not enjoy washing the eggs. My favourite animals are the sheep. We had lots of rain. Nothing out of the ordinary happened. Tyler: I fed the pigs and sheep etc. 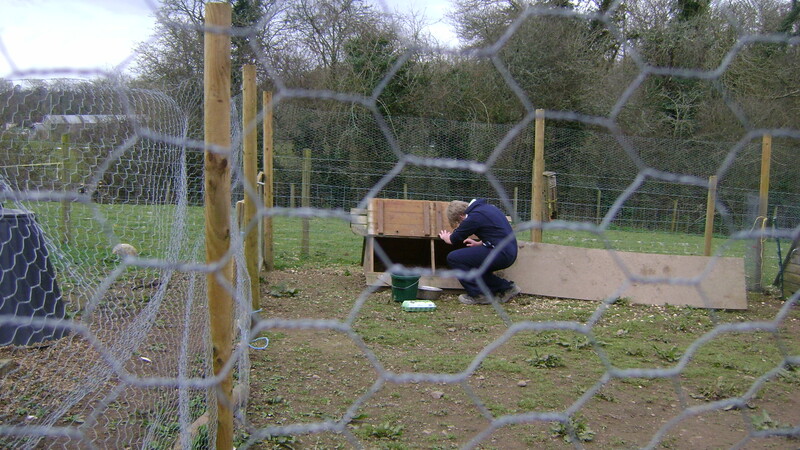 The thing I enjoyed the most was cleaning out Crackle but I did not enjoy feeding the poultry. My favourite animal is Crackle, the weather was wet, nothing out of the ordinary happened. Can I do the farm more often please. Jack: I did a lot on the farm. I cleaned out Crackle and collected the eggs from the ducks and the chickens. I enjoyed cleaning out Crackle the most but didn’t enjoy the rain. My favourite animal is Crackle. Raining!! Nothing out of the ordinary happened and I would like to say thanks to Pete and Andrea. Tom W: I cleaned out all the animals and learnt a lot of new things. I enjoyed cleaning out Crackle the most because the piglets came to say hello! There is nothing I didn’t like, I enjoyed everything. Cleaning out, feeding etc. that’s all part of it. My favourite two animals are Crackle (the pig), and Dave (the Ram) because they’ve both got great character. The weather was misty and fresh. One of the hens died. I can’t wait until my next week of farm duties. Chelsey: In the week I did farm duty I cleaned out Crackle and her piglets, weighed the 13 piglets, collected eggs from the ducks and chickens and tended to the ewes and Dave. I enjoyed everything, even the cleaning out, it was a time to get close to the animals. So far, I would say all the pigs on the farm are my favourite, but Dave is nice too. The weather varied from a few spots of rain to dry weather, it was cloudy mostly. It wasn’t out of the ordinary but putting piglets in a bucket to weigh them made my week very enjoyable. I really enjoyed doing farm duty, I would love to help out again anytime. 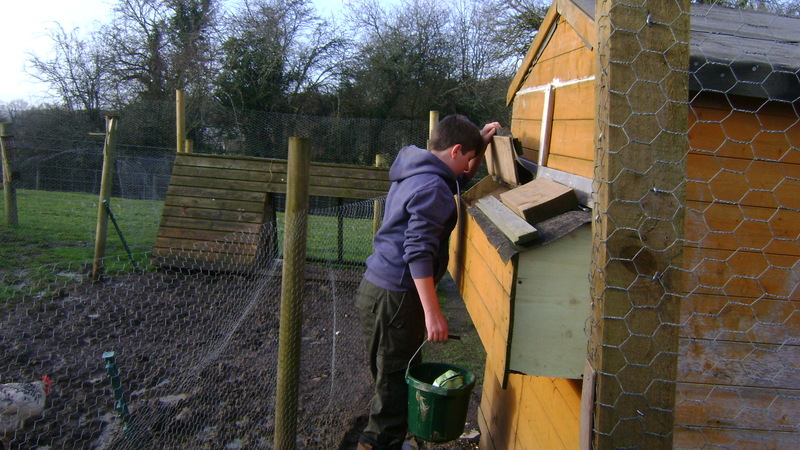 Week Beginning 20th January 2014: Patrick: During my week on the farm I fed the ducks and chickens, and moved the pig arks, which is the activity I enjoyed the most. I didn’t enjoy going back into school when I had finished. My favourite animals on the farm are the pigs. The weather was cold and dry. Nothing out of the ordinary happened. 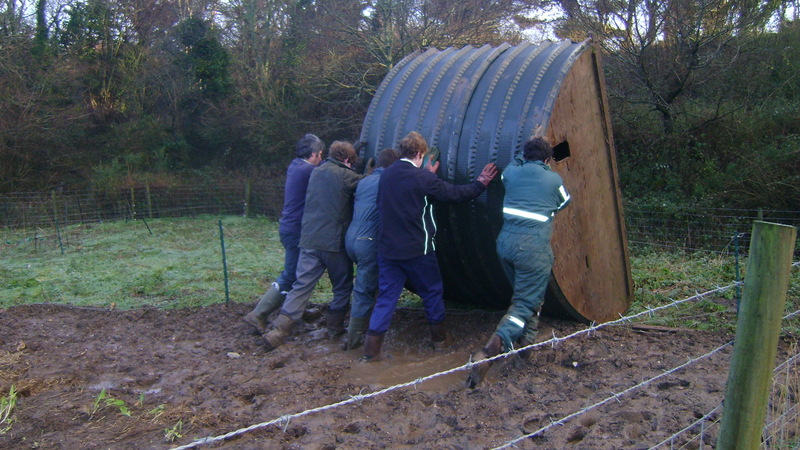 The farm could do with a little compact tractor – to help out! 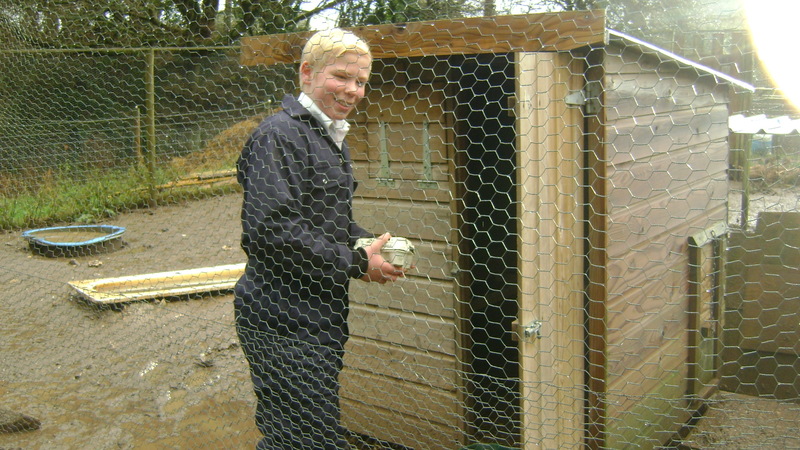 Josh R: On farm duty I let out the chickens, cleaned out the pigs, fed the sheep, weighed the eggs, lifted out a gate post, rolled the pig hut and put it in a different pen. I enjoyed all of it but not going back to school. My favourite animal was the Ram. It was cold and wet. 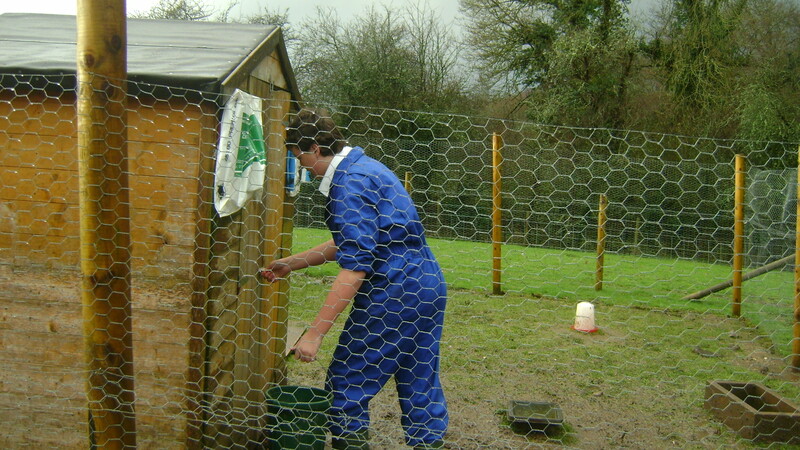 Ben R: Duties included letting out the chickens, cleaning out and feeding the pigs, feeding sheep, weighing eggs, lifting gate posts and rolling the pig hut in order to move it to a different pen. I enjoyed all of it but didn’t like going back to school. My favourite animals are the sheep. It was cold and wet. 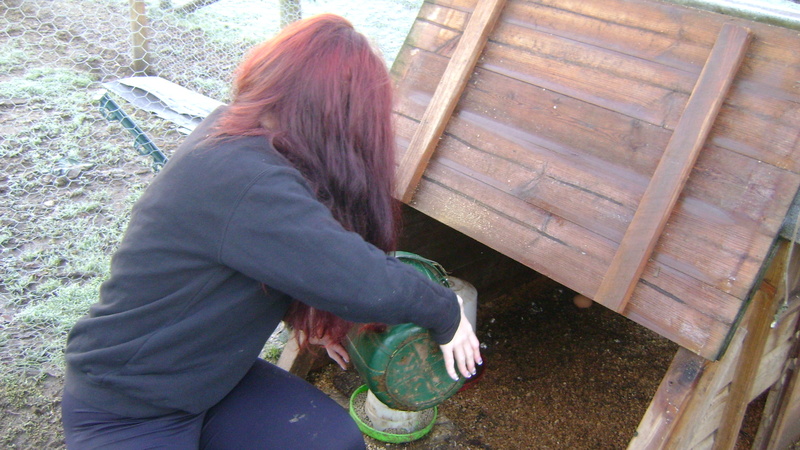 Week beginning 13 January 2014: Chloe: On my week at the farm I fed all the animals and cleaned out their housing area. I enjoyed collecting the eggs from the ducks etc but did not enjoy cleaning out the pigs poo!! My favourite animal was probably the sheep. The weather was mostly rainy and really cold. The thing that happened out of the ordinary was that Crackle had 14 piglets. Joe: On my week at the farm I fed the animals and cleaned out the pig and sheep. The thing I enjoyed the most was feeding the sheep but least enjoyed cleaning them out. My favourite animal is the sheep. The weather was wet and cold. Nothing out of the ordinary happened – the piglets came at night. 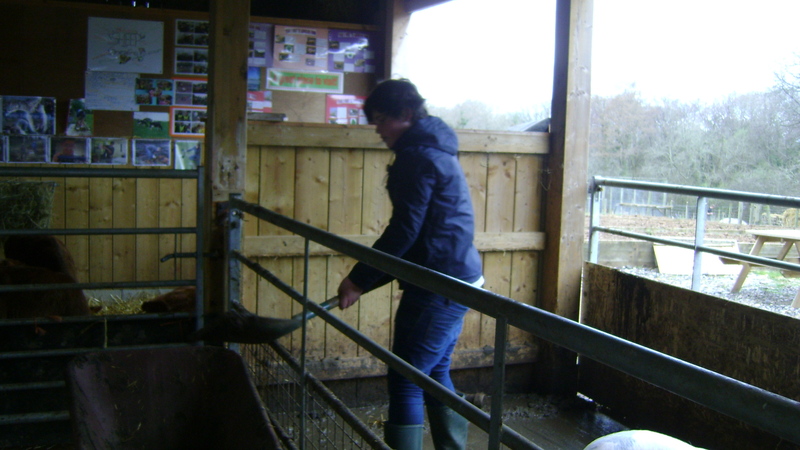 Week Beginning 6 January 2014: Courtney: During my week on the farm I fed the animals, mostly the sheep. The thing I most enjoyed was feeding the sheep but the thing I didn’t like was the mud! My favourite animals are the pigs and rabbits. The weather was wet, wet, wet! Nothing out of the ordinary happened. The guys who work at the farm are amazing. 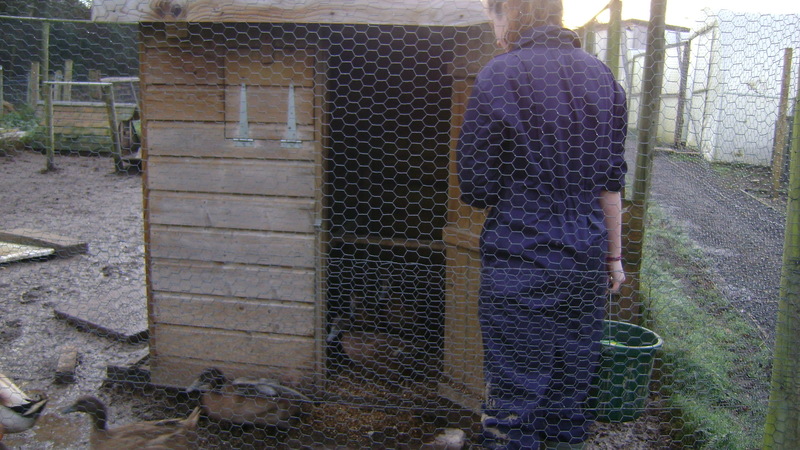 Sarah: during my week on the farm I looked after the animals, fed them (Ducks, chickens, Crackle, pigs, sheep). 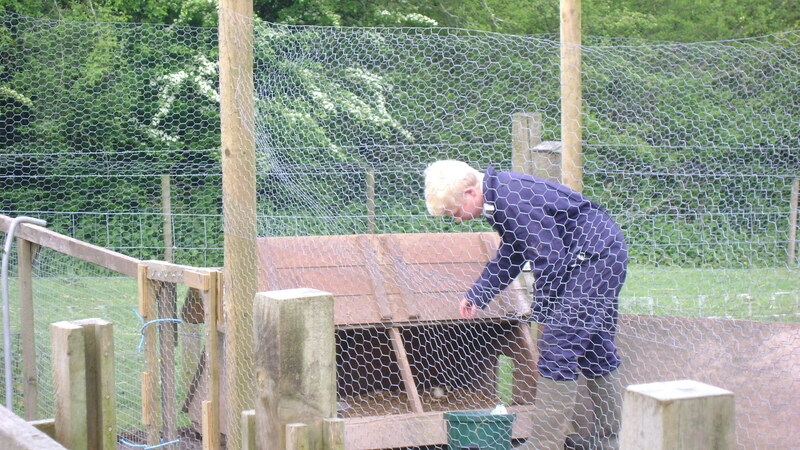 Looking after the ducks and chickens was probably what I enjoyed the most, but did not enjoy doing the pigs. My favourite animals were the ducks and rabbits. It was wet, rainy not that cold really, but everyone else though it was. I got attacked by Colin (Cockerel) a few times and I got stuck in the mud a lot! It’s a really good experience if you don’t already do it at home. 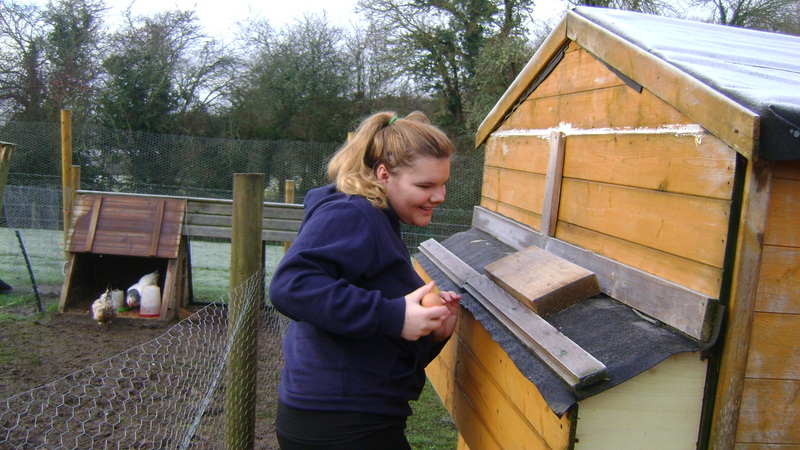 Jess: During my week at the farm I fed the chickens, sheep and pigs and I cleaned out Crackle. What I enjoyed most was feeding the pigs, but I didn’t enjoy cleaning out Crackle. Crackle is my favourite animal. The weather was cold and nothing out of the ordinary happened. 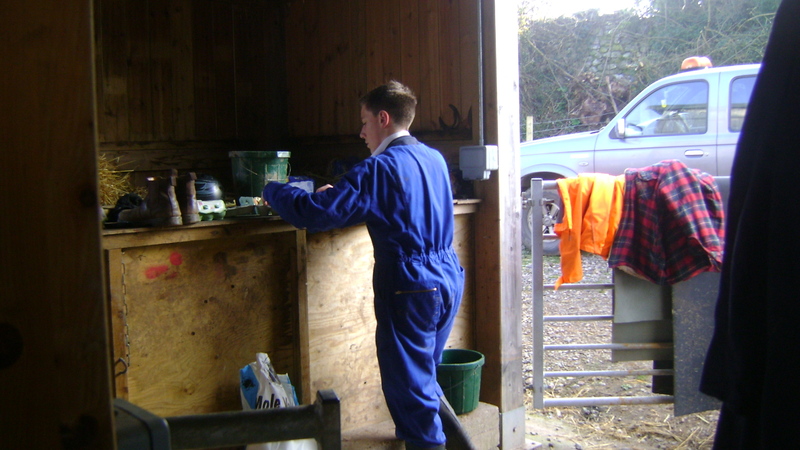 Week Beginning 11th November 2013: Tyler W: Farm duty was a new experience for me but also a great experience. My favourite part of farm duty was feeding and handling the chicken and sometimes the turkeys. My least favourite part was cleaning out the turkeys. Charlie B: Farm duty has been a great experience for me. My favourite part has been feeding the pigs, we all dreaded doing the turkeys because they stink. I think the farm needs some more machinery!. Norvydas V: Farm duty was great. I enjoyed feeding the pigs and chickens but I didn’t like cleaning out the turkeys. Favourite animal: pig/goat (The farm doesn’t have any goats but Norvydas suggested we should get one). 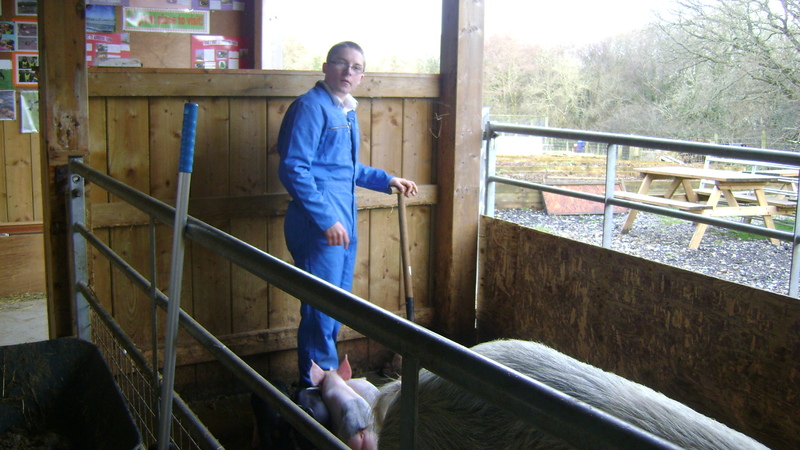 Week Beginning 30th September: Tommy S: On my week at the farm I fed the turkeys, Crackle and the piglets. The best bit of the week was having to put the turkeys that had escaped back in, and every morning when I went to feed Crackle she always butted me! Tommy: During farm duty I fed the pigs, sheep and turkeys, also I had to take the rabbit to the run but I was too scared to handle him! It is good to be outside doing practical work and seeing the animals. My favourite animal has to be the turkeys as they can be very lively and funny. 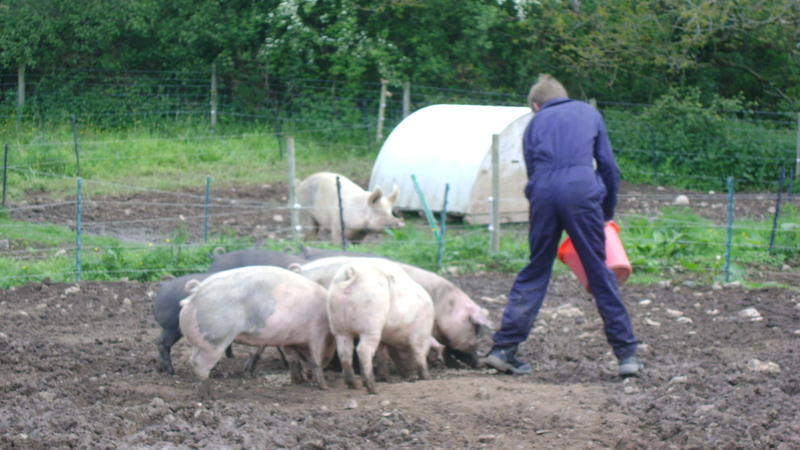 Week Beginning 9th September: Sarah B: At the farm I fed all the animals and cleaned out the pigs in the barn. I met Kelvin the New LLeyn Ram and the New Drake (Donald). There are also two new rabbits, Thumper (grey and white) and Timmy (brown and black). Barney (piglet) is a little bigger now but still small compared to the others. He is cheeky and keeps escaping. I am glad that the ewes are back at the farm because they are my favourite.